Join our team of Realtors who can get the job done! We are eagerly looking for qualified Brokers who would enjoy working with a team of confident Brokers and staff. We have the advantage of not charging corporate fees like the majority of the real estate offices. 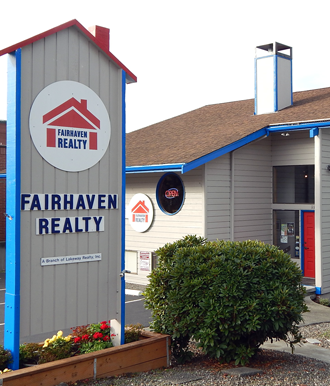 We have very experienced Brokers and have worked in the Fairhaven area since 1972. We have favorable splits, your own free private office, free boardroom use, free signs, free ads for your open houses and free ads in the NW Homes magazine, free maps, and staff help. Call “Glo” at (360) 676-8990 for an interview and enjoy a free cup of coffee!